Find out all the campsites on the banks of the river Drome and in Die’s area! Discover our campsites set in the fields of lavender of Provencal Drôme! At any season, enjoy our good deals for camping holidays in Drôme ! Go camping in Drôme and try a new experience with geocaching! 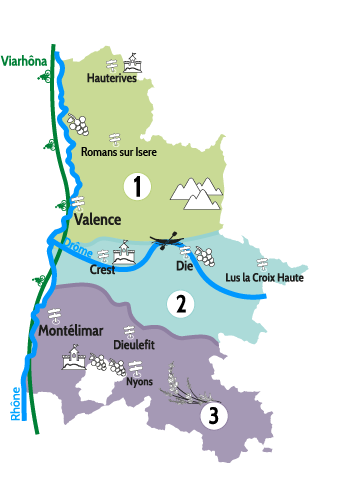 Perfectly located campsites to discover the Drôme by bike. Discover our selection of campings in Drôme on a lake shore or river bank. Yurts, caravans, tree houses... Discover all the unusual accommodations of our campsites in Drôme!